The Board of Directors and Management of Perth Racing wish to advise patrons of their obligations and acceptance of the Conditions of Entry to the venues under its management. These Conditions of Entry apply to any and all race meetings, special events, private and corporate functions, unless otherwise stipulated. Children 16 years and under are welcome at Ascot Racecourse and Belmont Park, with free admission, however , all minors 18 years and under must be accompanied by a legal parent or guardian at all times. For information on Proof of Age documents and Prohibition of Unaccompanied Juveniles, please view this PDF. Inflatable items such as balloons, beach balls etc. Any instrument that may resemble a weapon or imitation plastic weapon of any kind including but not limited to a sword, gun, hand grenade, hammer, shields, knives armour etc. 1.1 Upon entry patrons are required to present their bags and other carriers for inspection by authorised representatives of Perth Racing. 1.2 Prohibited items will need to be returned to private vehicles or will be confiscated by Perth Racing. There are no checking facilities available at Perth Racing venues, so items cannot be held on behalf of patrons. 1.3 Perth Racing authorised representatives may also prohibit entry to any person found to be in possession of prohibited items, at the sole discretion of Perth Racing. 1.4 Patrons refusing to present their bags or other carriers for search by authorised representatives of Perth Racing, or who are found to be in possession of prohibited items may be refused entry to the premises and /or expelled from the premises. A Photo Card issued by any Australian state or Territory similar to the New South Wales/Western Australia Photo Card. All patrons under 18 must be accompanied and supervised by a responsible adult at all times A responsible adult is defined as an adult who is a parent, step-parent, spouse, de facto partner or legal guardian of the juvenile. 3.1 Persons under the age of 18 years may only attend the venue under the supervision of a parent or guardian. Where you are the parent or guardian of a person under the age of 18 years, you are deemed to have accepted on behalf of that person the Conditions of Entry to the premises and any and all accompanying risks, obligations and responsibilities. 3.2 Tickets to events or the Members Area at the venue may not be re-sold, or be used for advertising, promotional or other commercial purposes (including competitions) without the prior written consent of Perth Racing. If a ticket is found to have been sold or used in contravention of this condition the bearer of the ticket may be denied entry to the venue. 3.3 Tickets marked ‘General Admission’ allow the bearer general course entry. These tickets do not allow access to designated Member, Corporate or private function areas. 3.4 Perth Racing makes no representation or guarantee that there is space available in any particular viewing area within the venue, or that there will be space in any viewing area to allow you to view any particular event. 4.1 No refund or exchange on any ticket will be provided, except as required by law and as otherwise specified by the seller (see 4.2 to 4.6). If a refund is made, Perth Racing may, to the extent permitted by law, retain any fee it has charged. No refunds, credits or replacement tickets will be provided on any complimentary tickets or in situations where the Australian Consumer Law does not apply. Perth Racing holds no responsibility for lost or stolen tickets. Replacement tickets may be issued at Perth Racing’s discretion. Perth Racing will only consider requests for replacement tickets that are in writing and that specify the exact ticketing details, proof of purchase and valid credit card details for payment (at least one week prior to the Event). Perth Racing reserves the right to charge a reasonable administration fee for the replacement of tickets. Perth Racing reserves the right not to replace tickets where seating is not allocated (general admission tickets). Depending upon the available time, ticketholders may be required to collect or exchange tickets at the racecourse or Perth Racing’s Head office. (a) General Admission Patrons: To be provided a complimentary General Admission ticket on exiting the Racecourse to be used for their next visit. 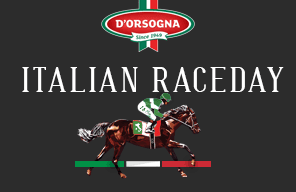 Perth Racing, at its discretion, may continue to provide broadcast of associated racing services from other Australian Racecourses and therefore elect to keep selected food & beverage outlets open for General Admission patrons. 4.5 The proposed schedule and format of an Event (whether published or otherwise) is provisional and subject to change due to adverse weather conditions or other reasons as determined by Perth Racing. Perth Racing reserves the right to cancel, postpone, reschedule or relocate events; alter the format or any element of an event or arrange a substitute event. 4.6 Perth Racing is not liable for any losses, costs or damage suffered or incurred as a result of any of the factors occurring in point 4.5 above. Where concessions are applicable, suitable and valid identification must be provided for collection of tickets at the venue. 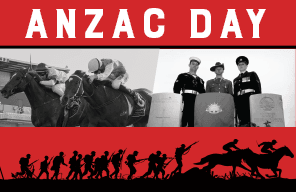 Tickets will be issued when full payment is received by Perth Racing. Please allow adequate time for collection or delivery of tickets. 4.9 In respect of all tickets you receive, you must comply, and ensure that each subsequent holder of the ticket is fully aware of and complies with these Conditions and all relevant laws and regulations. 4.10 If you are entitled to a refund, you must return the relevant admission ticket to the Ticket Seller in order to obtain your refund. No refunds will be granted for an admission ticket unless and until it has been returned to the Ticket Seller and is received within 30 days after the day of the event for which the refund is being sought. All refunds will be processed under the relevant Ticket Seller refund policy. 4.11 In the instance that Perth Racing is the direct Ticket Seller, contact Head Office and direct your query to the Commercial and Marketing Department. Perth Racing has a no refund policy on bookings. 5.1 Restaurant Bookings are required to be paid in full at time of booking. Any increase in guest numbers must be made no later than 4 working days prior to the Raceday and is subject to availability. No refund will be issued if guest numbers are decreased. 5.2 Member Handbook restaurant vouchers must be mentioned at the time of booking and presented to the cashier on the day. If not presented Perth Racing has the right to charge the value of the voucher. Please refer to the Member Handbook for further Terms and Conditions. 5.3 Function bookings are required to pay a $1000 non- refundable deposit at time of booking. Final numbers and full payment is required three (3) weeks prior to the function date. Any applicable changes are to be confirmed no later than one (1) week prior to the function date. Any increase in numbers must be made no later than four working days prior to Raceday and is subject to availability. No refund will be issued if numbers are decreased. 5.4 Outside or Alfresco functions are exposed variable weather conditions. Should an alternative venue be required it will be subject to availability and further costs may apply. Perth Racing is not responsible for any costs, damages or expenses that may be incurred if an alternate venue is not available. Perth Racing will enforce a no refund policy. 5.5 The customer will be responsible for all loss or damage to the property of Perth Racing including premises, p fixtures, fittings, furnishings or goods, as caused by the customer, their guests, or any other person attending the function. 5.6 Whilst we take extreme care when looking after guests and their belongings, Perth Racing does not accept any responsibility for damage or loss of items before during or after the function. 5.7 Certain areas on course have strict dress standards. It is the customer’s responsibility to ensure all guests adhere to the dress standards as patrons may be refused entry to specific areas. The no refund policy will apply. 6.1 Patrons deemed to be impaired by alcohol or any other substance maybe refused entry to, or removed from the Venue by authorised representatives in accordance with the Liquor Control Act. 6.2 Patrons agree not to engage in any conduct or speak to any employee, official, event participant or other patron in a manner which; offends, insults, humiliates, intimidates, threatens, disparages or vilifies that person in any way, including, but not limited to; on the basis of race, religion, colour, appearance, gender, sexuality, descent or national ethnic origin. 6.3 Patrons may not sell any goods or services or give away political or religious, advertising and promotional material without prior written approval by Perth Racing. 6.5 Patrons will not conduct surveys or opinion polls; solicit money, donations or subscriptions from patrons at the venue without the prior written consent of Perth Racing. 6.6 Patrons are responsible for their own hydration and sun protection while at the venue. 6.7 Patrons agree not to litter and will dispose of rubbish in designated receptacles. 6.8 Patrons are advised that CCTV cameras are in operation throughout the venue. 7.1 Patrons agree not to bring into the venues any photographic, video or audio recording equipment for any purpose other than private, non-commercial purposes, which may include, without limitation, video and/or audio recorders, camera tripods, monopods or lenses with a total focal strength of greater than 200mm and commercial digital video equipment. 7.2 Patrons agree not to (i) make any recording or take any photograph for anything other than private non-commercial purposes or (ii) make any recording or take any photograph of any person without the authorisation of that person or (iii) sell, license or otherwise publish, disseminate or reproduce (or permit such), whether in whole or in part, any recordings taken or made inside the venues (including without limitation, photographs, video recordings, data recordings or sound recordings) without the prior written consent of Perth Racing. 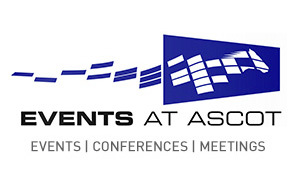 7.3 Patrons agree not to broadcast or narrowcast by any means whatsoever (including, without limitation, by way of mobile phone, modem or other wireless device) any images, sounds, data, results or commentary of or concerning any of the events or other activities at the venue without the prior written consent of Perth Racing. 7.4 Patrons agree that they consent to (i) the recording of their likeness and/or voice by any means (including but not limited to audio and visual recordings by television cameras and photographers) and (ii) the commercial use, throughout the world, of their images by any means by Perth Racing and its commercial partners without compensation. 8.1 Patrons acknowledge that they enter the venues at their own risk. 8.2 Patrons acknowledge that the venues are licensed premises and the rules and guidelines established under the Liquor Control Act 1988 (WA) apply at all times. 8.3 Patrons acknowledge that unless they hold a ticket allowing entry to a reserved area (such as Members Area, Corporate Suite, event function, or restaurant booking or occupation of a reserved seat), you must not enter or remain in a reserved area or occupy a reserved seat. If you hold a ticket for a particular reserved area or reserved seat, you must only enter the area designated on your ticket. 8.4 If you bring children to the venue you are responsible for the care, conduct and supervision of those children at all times, and will be held responsible for any acts or omissions committed by Children in your care. 8.5 Patrons must at no time, without the express authorisation of Perth Racing, or while being escorted by an authorised representative of Perth Racing, enter the racetrack, stalls, Mounting Yard, or any area where the movement of horses occurs, or any area of the venue where persons including ticket holders are prohibited to enter as indicated by: fencing; cordons; locked doors; signage or otherwise. 8.8 Perth Racing enforces and upholds Responsible Service of Alcohol standards for all events. For specific information, please refer to RSA documentation and signage. 8.9 Patrons should be aware that 24hr continuous video surveillance is in operation and that all such recordings/photographs may be supplied to law enforcement agencies as evidence if necessary. 9.1 Taste Cards are valid for use on food and beverage purchases at all Perth Racing permanent bars and cafes. 9.2 The Taste Card balance can be checked, redeemed and topped up at any permanent bar or outlet with a designated point of sale system. 9.3 Taste Cards are valid for 12 months from the date of purchase. Funds remaining after this date will be forfeited. 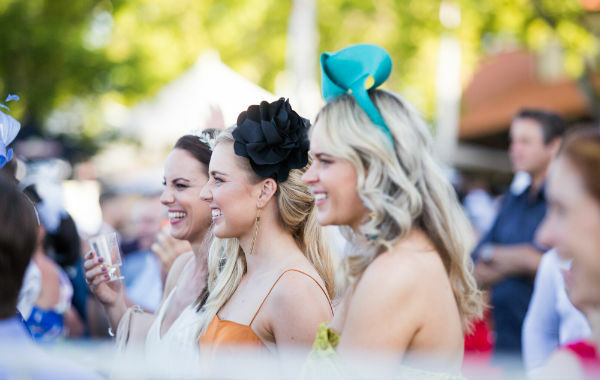 9.4 Taste cards are not valid for use on Perth Racing Membership renewals, Members Privilege Tickets or at any temporary pop up bars or cafes at Perth Racing venues. 9.5 Taste cards are not valid for use in conjunction with other function bookings, promotions or package purchases and offers.10.6 Taste Cards Dollars are not redeemable for cash and change will not be given on any transaction. 9.6 Taste Cards will not be replaced if lost or misplaced.